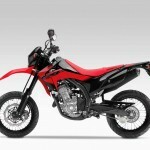 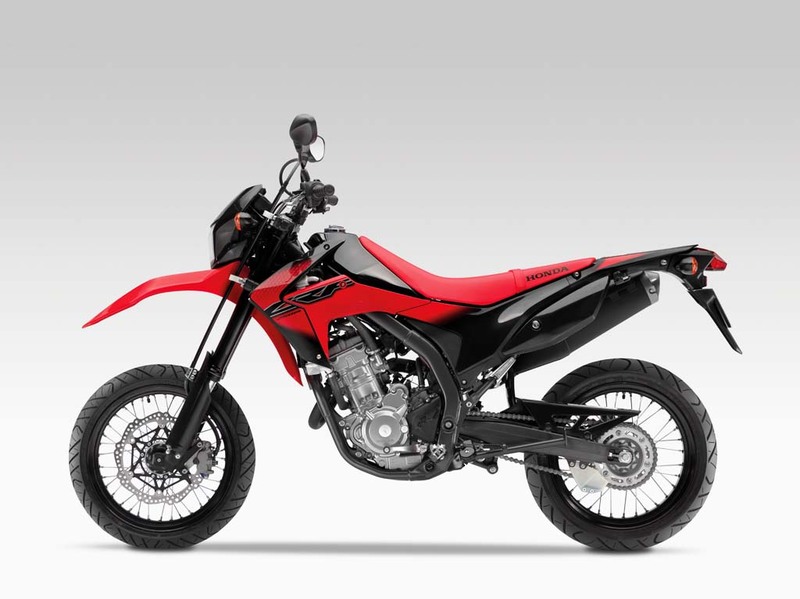 Honda announced it is bringing the CRF250M supermoto to Europe. 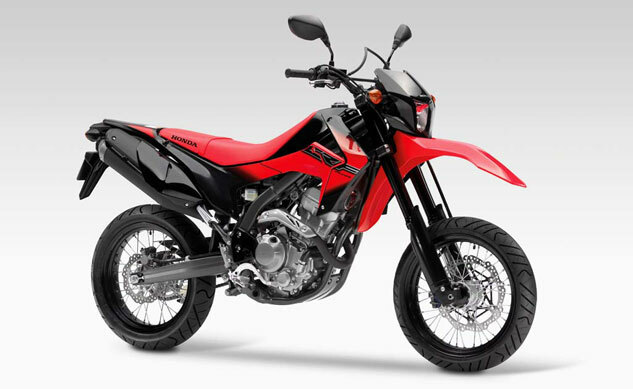 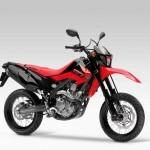 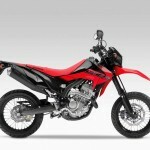 We first heard about the supermoto version of the CRF250L in January, when it was announced for Thailand. 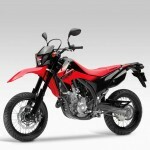 Though nothing official was said, it seemed likely at the time Honda would introduce the CRF250M to other markets. 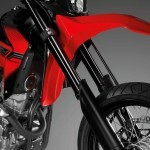 American Honda has not yet announced whether it would offer the CRF250M, but we hope it will. 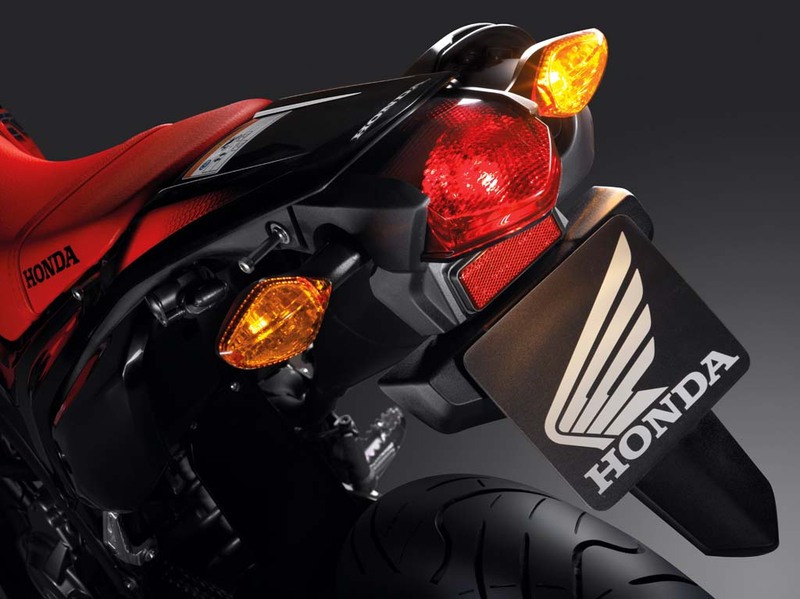 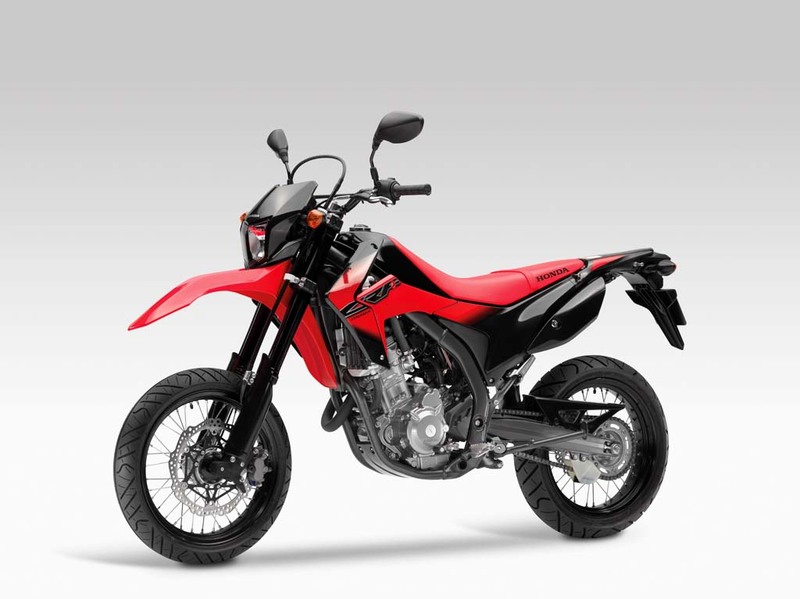 Like the CRF250L, the M version uses a liquid-cooled 250cc Single engine based on the powerplant introduced with the CBR250R. 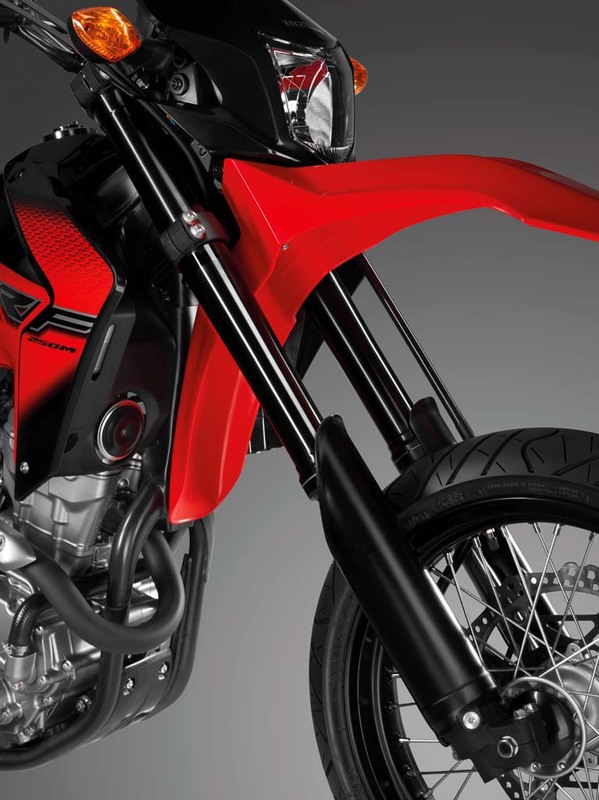 The CRF models share similar power and torque figures, claiming 22.8 hp at 8500 rpm and 16.2 ft-lb. 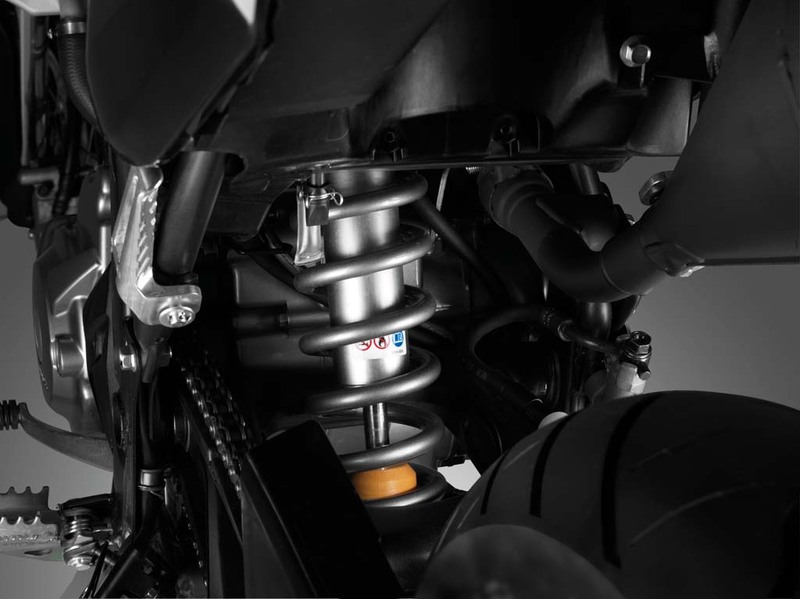 at 7000 rpm. 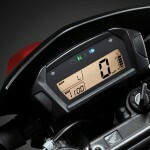 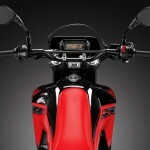 Honda claims the CRF250M can get about 80 miles on the gallon. 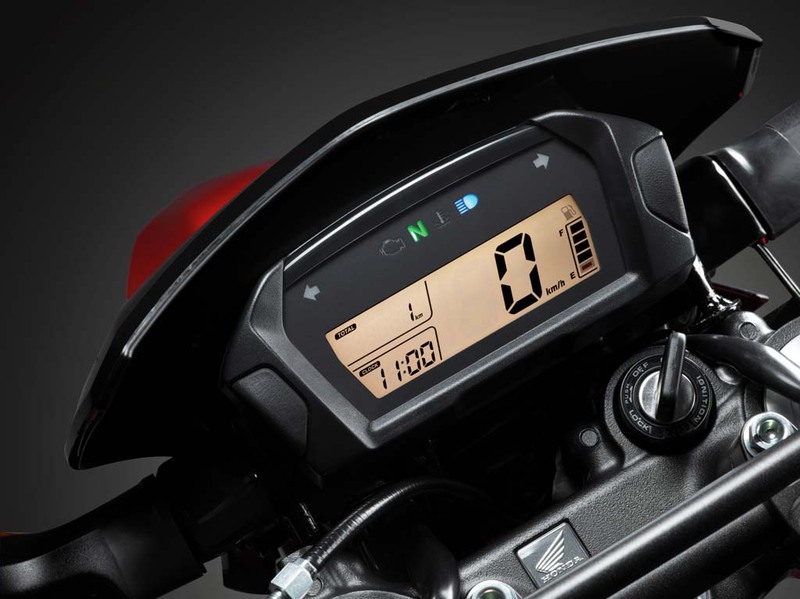 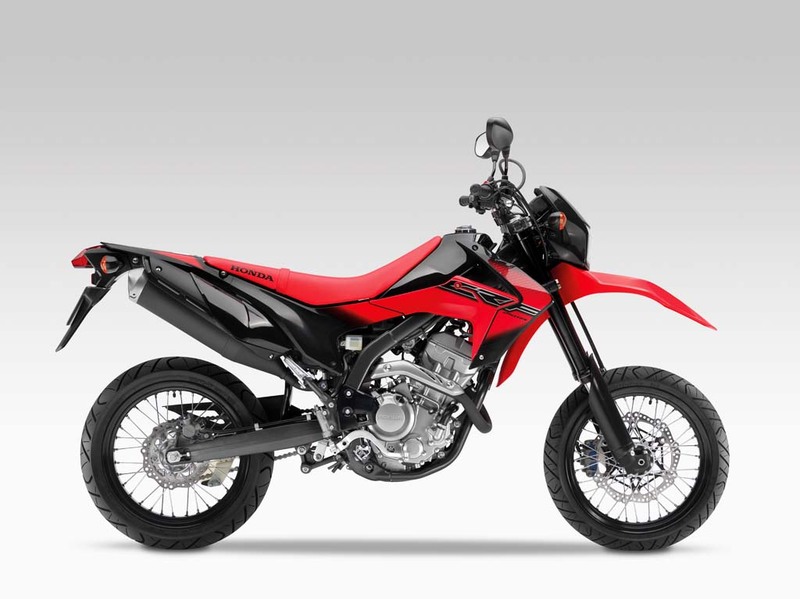 Combined with a 2.0-gallon fuel tank, the CRF250M should have a range of about 160 miles. 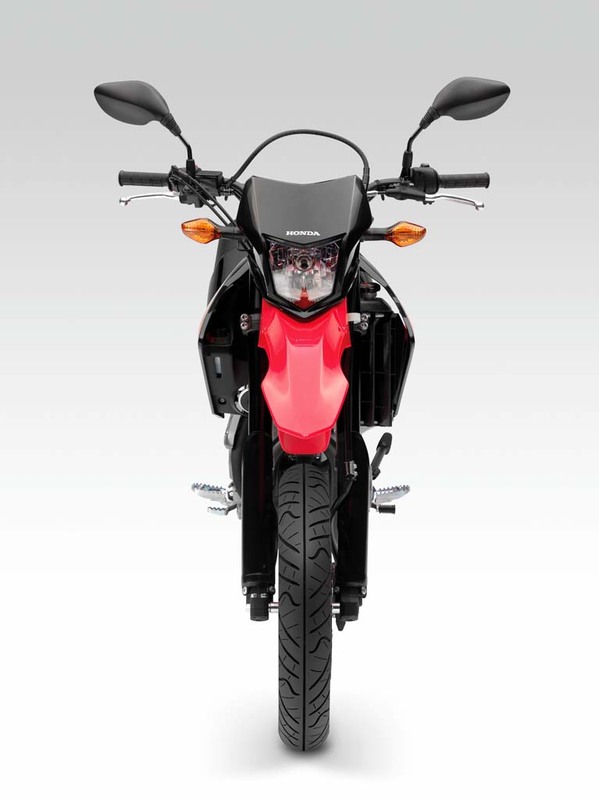 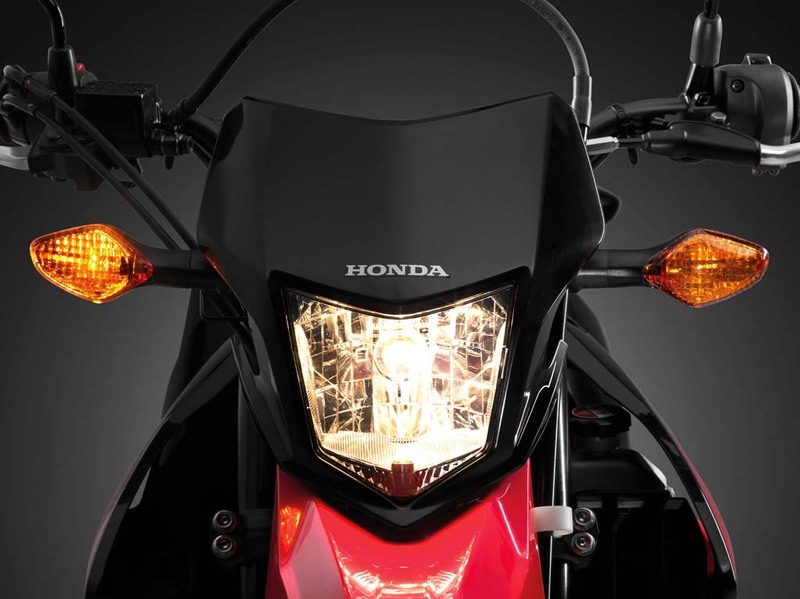 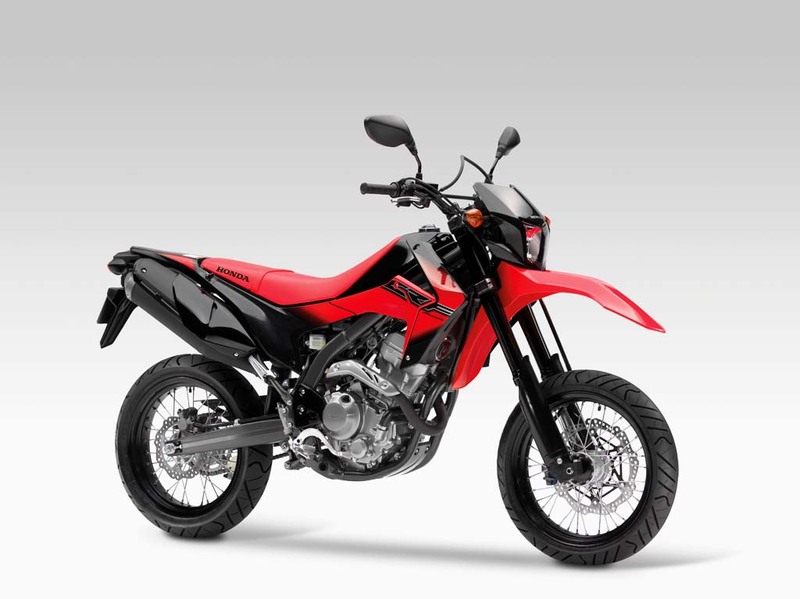 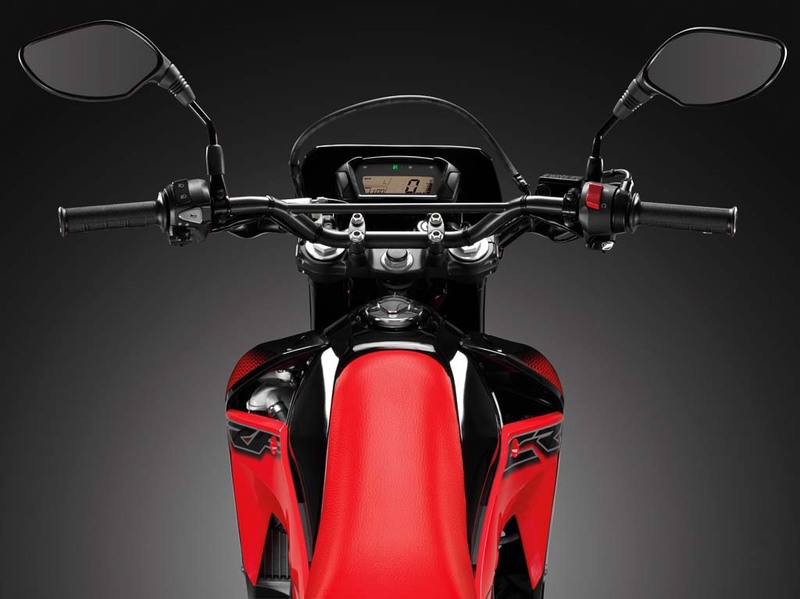 The CRF250M’s styling is also based on the L and the two models share the same frame. 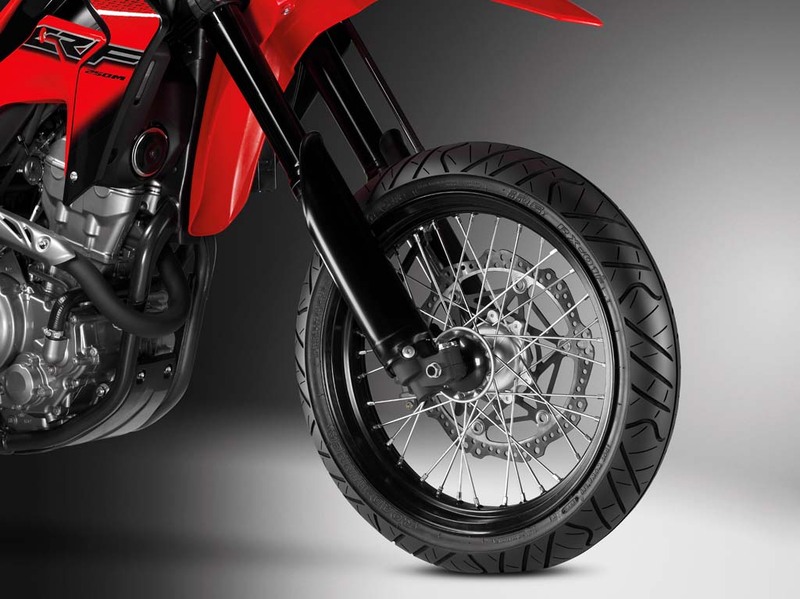 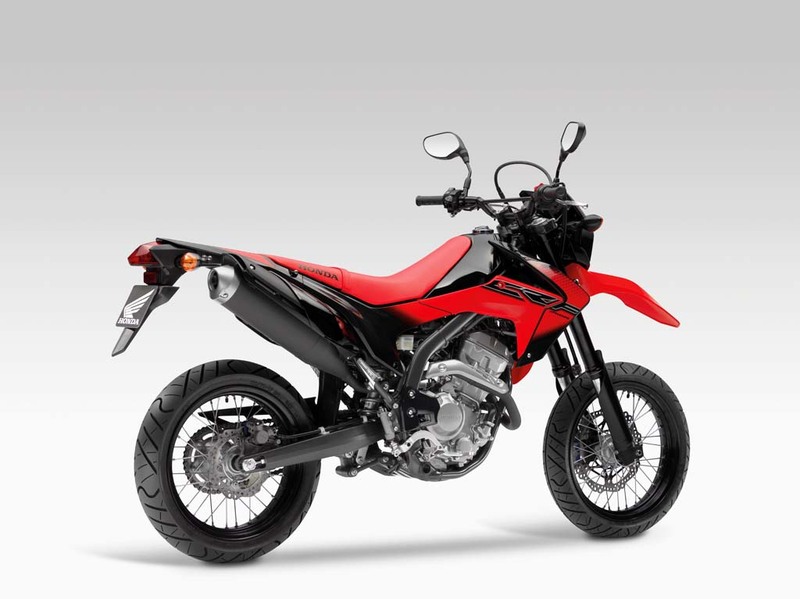 The CRF250M has lower suspension however, giving it a seat height of 33.6 inches compared to 34.4 inches on the L. Designed more for street use, the CRF250M runs on 17-inch wheels, front and rear, and wider street tires compared to the 21-inch front wheel and 18-inch rear wheel and knobby tires used on the CRF250L. 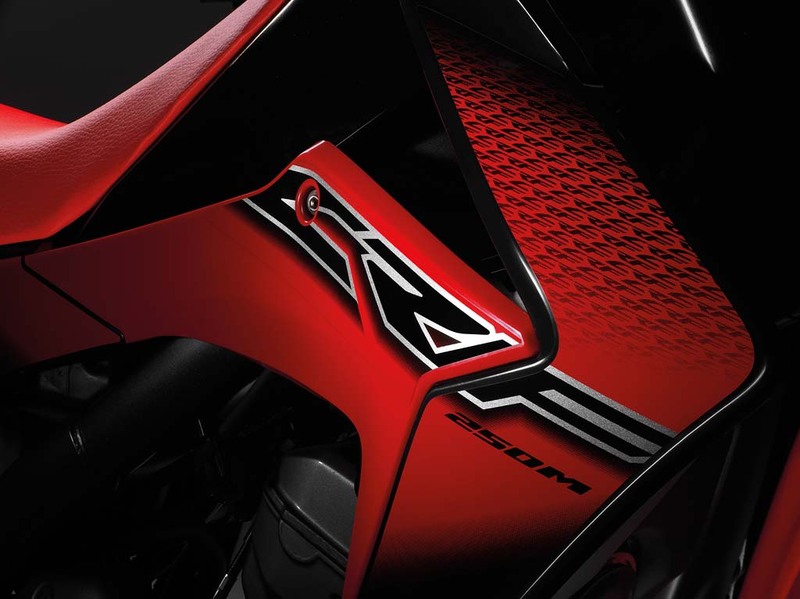 The M also has a 25°45’ rake and 71mm trail compared to 27.6° and 113mm on the L model. 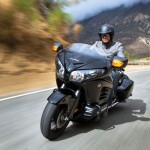 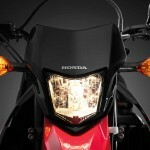 Honda claims a curb weight of 317 pounds. 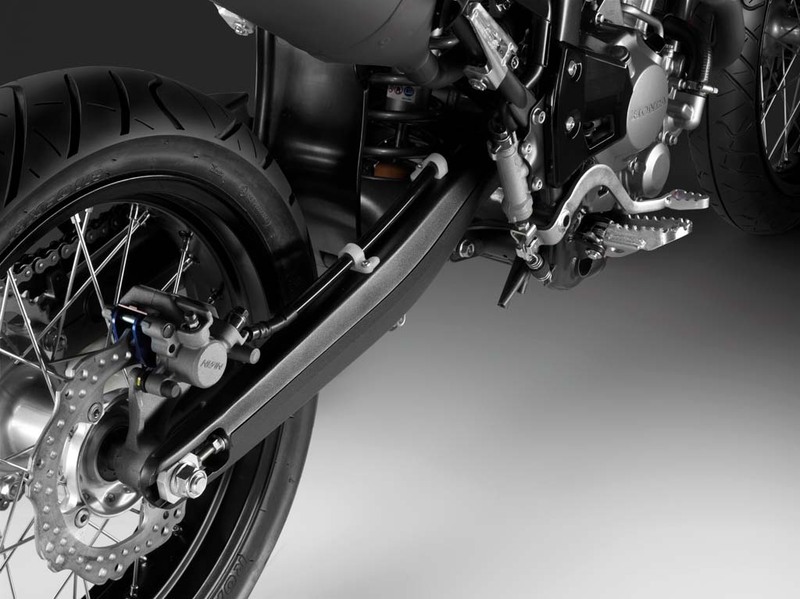 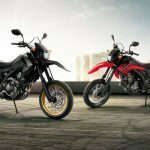 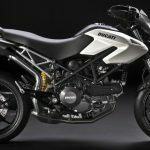 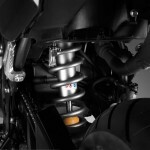 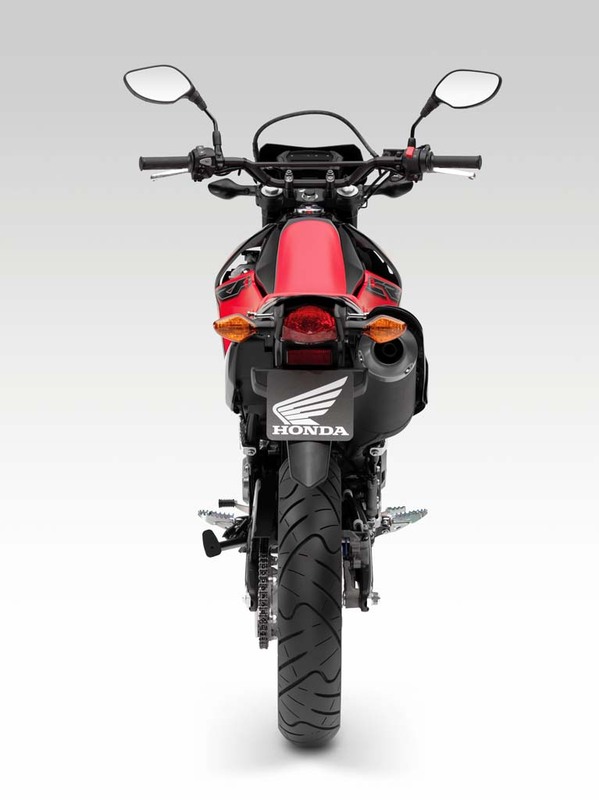 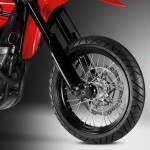 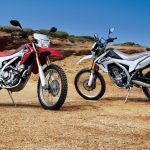 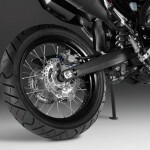 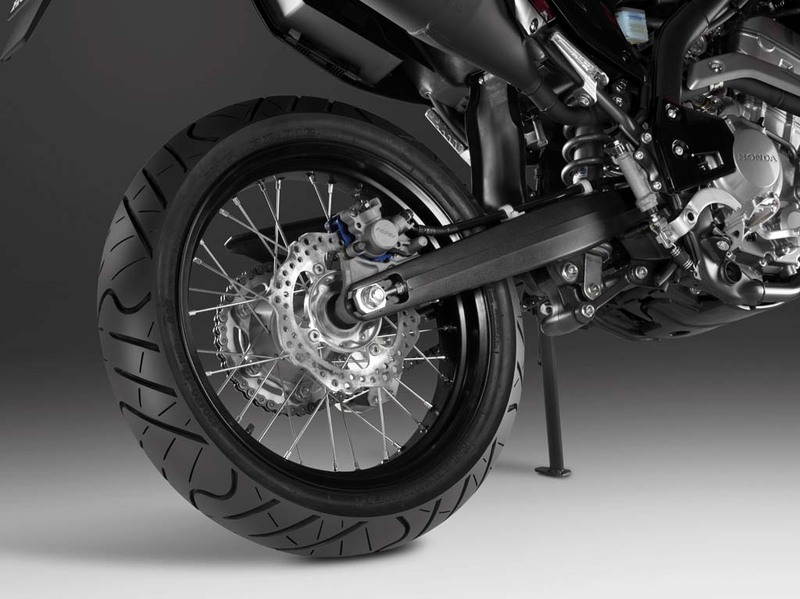 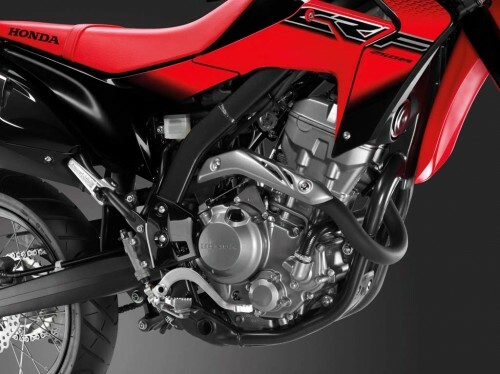 The suspension system is comprised of a 43mm Showa inverted fork and a 40mm Showa shock, as with the CRF250L, but the motard version uses heavier springs designed more for the street than for off-road riding. 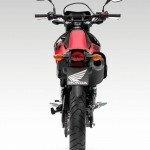 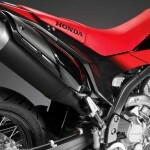 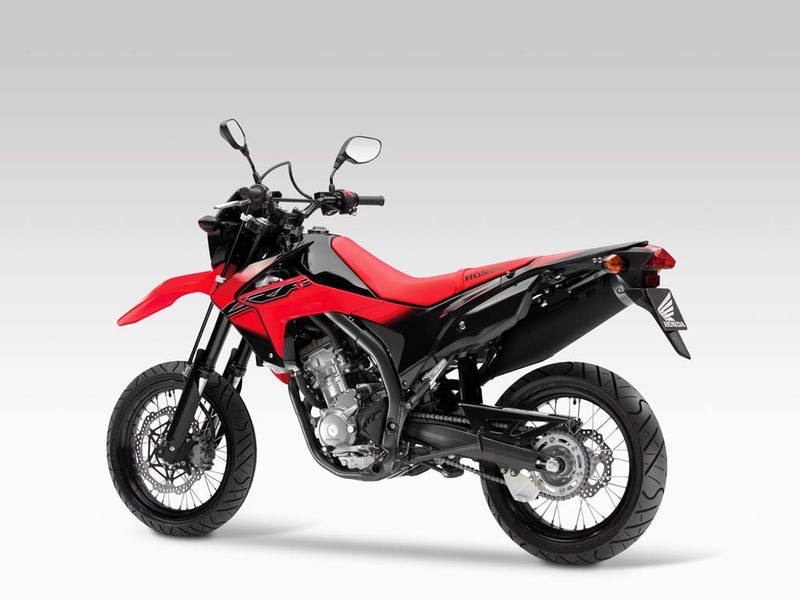 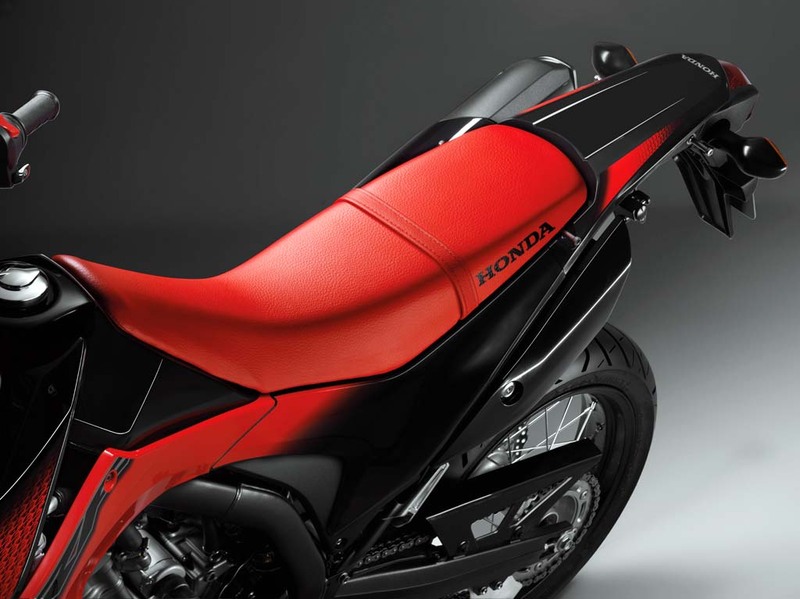 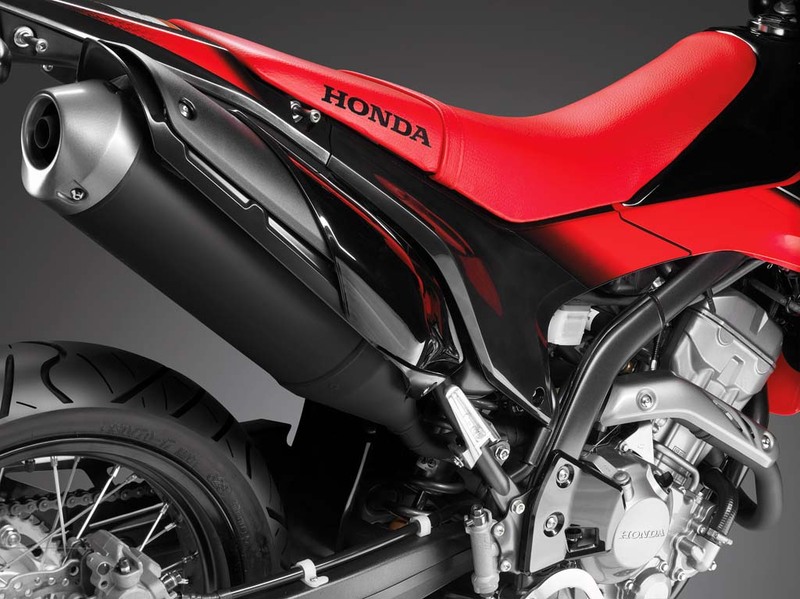 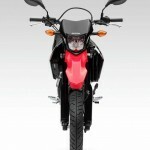 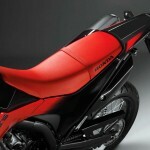 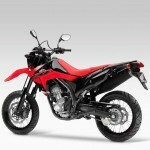 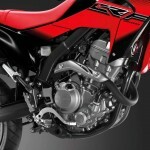 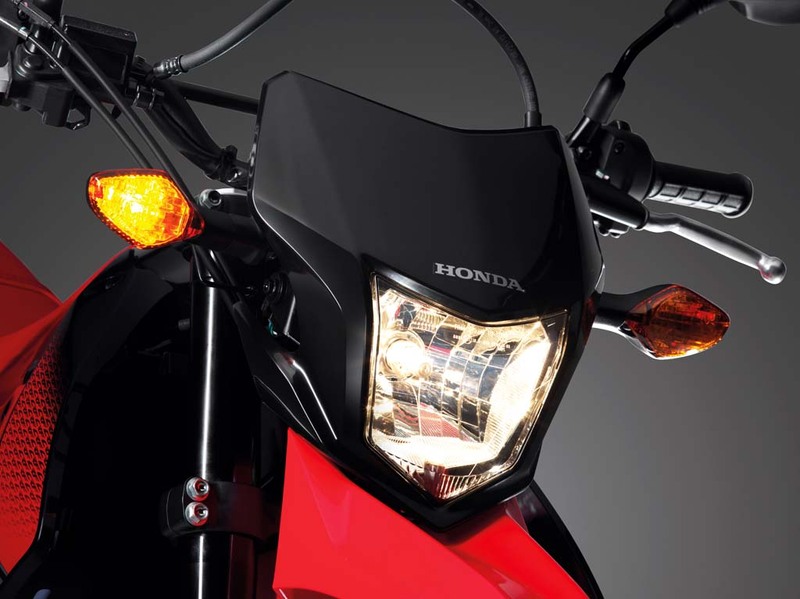 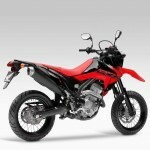 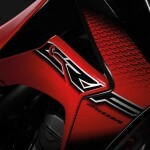 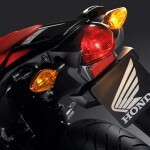 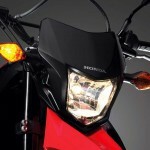 Honda will produce the CRF250M in two color options: Extreme Red and Black with gold rims.